We have been designing and developing online courses using best practices for more than 15 years and we are a proven authority on interactive enduring media for the healthcare professional. 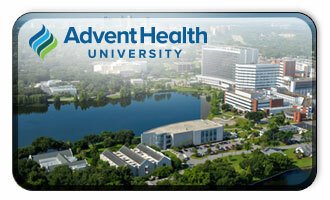 Located near beautiful downtown Orlando is AdventHealth and within the AdventHealth campus is AdventHealth University (AHU), a globally-recognized, level 5 doctoral-granting institution. AHU is committed to developing skilled professionals who live the healing values of Christ and encourages learning as a lifelong commitment, and embedded in lifelong learning and professional development is continuing education. echelon® is the continuing education division of AHU and AdventHealth and specializes in online continuing education and training, integrating course design and media development incorporating the highest credentialing standards. Our mission is to serve the continuing education needs of individuals and organizations in the healthcare industry by providing high-quality e-learning and information resources to enhance professional development. We work methodically with AHU and AdventHealth clinical educators, as well as various subject matter experts, in our commitment to assessing learner needs and identifying professional practice gaps. 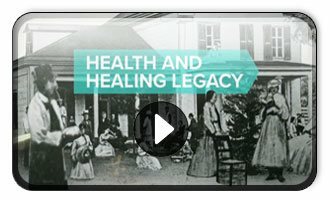 As part of AdventHealth, operated by the Seventh-day Adventist Church, our legacy has always been in health and healing. With more than 350 healthcare facilities worldwide—"Greater as a Whole"—we have the advantage of accessibility to diverse, seasoned, experienced, high-quality academic professors from the University. In addition, to ensure that our courses are relevant in current clinical climates and updated with the most advanced medical standards and practice, we partner with site coordinators from the nine AdventHealth campuses in identifying gaps and needs within the healthcare profession. This relationship enables echelon relevant content expertise as well as an experienced target audience and content reviewers experienced at patient care and outcomes and closing continuing education gaps, thereby enhancing career development. As a division of AdventHealth University, echelon is a non-profit organization. echelon specializes in online continuing education, integrating course design and media development with accreditation and hosting. We are mission-driven to serve the continuing education needs of individuals and training needs of organizations by providing high-quality e-learning and informational resources to enhance professional development. We offer engaging multimedia courses that follow best practices in educational design and fulfill continuing education requirements. In addition, echelon provides easy access to valuable medical resources, materials, and online tools to help busy healthcare professionals conveniently manage their career development. We strive to develop CE activities that blend into any lifestyle, any schedule. Our courses are designed to work into a demanding schedule and may be completed all at once or over a period of time. We incorporate various case studies and other interactive activities to allow the clinician to correlate findings into a real-life clinical situation. Delivered in a unique multimedia learning format, all courses are designed specifically for self-study, allowing individual learners access for a full year after purchase. echelon incorporates adult learning theories, sound principles of instructional design, and e-learning. Best practices in adult education show that interactive, multimedia programs that support multiple learning styles have the greatest impact. Our courses combine audio, video, and animated graphics in ways that optimize interactive learning. Healthcare professionals learn, not through reading articles or passively viewing PowerPoint presentations, but through participating in activities designed to reinforce concepts and stimulate thinking. Why choose echelon? All of our courses are visually rich and interactive, so rather than reading a transcript and taking a test, view high-definition videos and engage in interactive learning checks. Also, when you successfully complete a course, your certificate is available to print immediately and logged on your personal transcript. To further streamline the process, if you are registered with CE Broker, we will electronically transmit your CE credits to them within 24 hours. All courses currently designed and hosted by echelon have been developed in collaboration with experienced healthcare professionals who are subject matter experts (SME). The origin of each course is developed from a gap in knowledge or practice, driven by the need of a specific educational training curriculum. If the activity is funded by an educational grant, our development encompasses the guidelines and provisions specified in the grant. We collaborate with the healthcare organization and pay close attention to the needs and ideas of their professionals, outlining the measurable outcomes, modules, and topics for each course. Step 1: Determine learner outcomes and the content that must be taught/learned to meet those outcomes. Step 2: Identify appropriate assessment techniques to evaluate how well the learner met the outcomes. Step 3: Determine the instructional methods to teach the needed content. Additionally, the script is weighted and post test competency is determined. Questions are matched against the outline and modules and cross-checked against the measurable outcomes. The competency validation test originates within the course and measurable outcomes, as well as the critical assessment of test items. echelon continually consults with our educators to modify any elements to match internal requirements. When the modules are appropriately sequenced, the course outline includes a listing of the modules and the topics within each module, to ensure that the topics include all learning-related outcomes and that they are correctly aligned with the module content. The course outline is then reviewed and our curriculum director teams with our design team in creating a media script. In the interim, the script is weighted and post test competency is determined. Questions are matched against the outline and modules and cross-checked against the measurable outcomes. The competency validation process ensures the course/clients measurable outcomes and the critical assessment test items coincide. The media script is prepared from the course outline. Our web-based training modules focus on content knowledge, including facts, concepts, vocabulary, and descriptions of skills and processes as outlined in the curriculum development process described above. All web-based portions of the content are delivered web-accessible and coded using standards-based HTML, images, and multimedia files that can be launched via a web browser and hosted on a web server. When the media script is completed, it will indicate the bullets that will appear on the screen, as well as images, video clips, and web links, that are used to enhance learning. Knowledge checks will also be developed and inserted at several points throughout the document. The media design team translates the media script into the multimedia presentation, producing a course that is responsive to all platforms. Each learning presentation includes instruction, practice, application, and assessment. Formative and summative assessment tools are incorporated into the content including feedback that is congruent with the types of learning measurable outcomes. echelon is committed to being a provider of higher-quality patient care through the development of well-educated healthcare professionals. Our course programs are recognized nationally through our program design standards which are based on adult learning principles, authored by subject matter experts, and are free of commercial bias or influence. Our commitment to driving higher-quality healthcare continuing education is exemplified in our proficiency in creating interactive multi-media that is accredited by licensure boards and other certifying bodies. View our credentialing. Online education has proven to be more cost-effective for not only the individual user but also for organizations, with the distance traveled to seminars being replaced with online educational programs and webinars. From Human Resources, OSHA, and healthcare, to specialized departmental education and training, our team of professionals works with each client in developing educational strategies from conception to distribution. For over 15 years, echelon has been partnering with clients, such as Healthstream Inc., Philips Healthcare, Toshiba America Medical Systems, Covidien, Mallinckrodt Pharmaceuticals, Curium Pharmaceuticals, AdventHealth, Metroplex Health System, Peterson Regional Medical Center, GE Healthcare, Siemens, Barnes Jewish Hospitals, Sharp HealthCare, Atlantic Health, ProHealth Care, Linders Health Institute, and hospital systems throughout the United States, to deliver quality online educational courses and resources customized for their needs. echelon extends to our partners a variety of options with flexible pricing which will allow any organization to offer continuing healthcare education at affordable prices. Making the decision on e-learning is not quick and should not be. We would like to answer your questions and work to develop a program that not only fits your needs but also one that is within the parameters of your budget without sacrificing quality and content. Contact us at contactus@echeloned.com or call us directly at 407-303-9409.